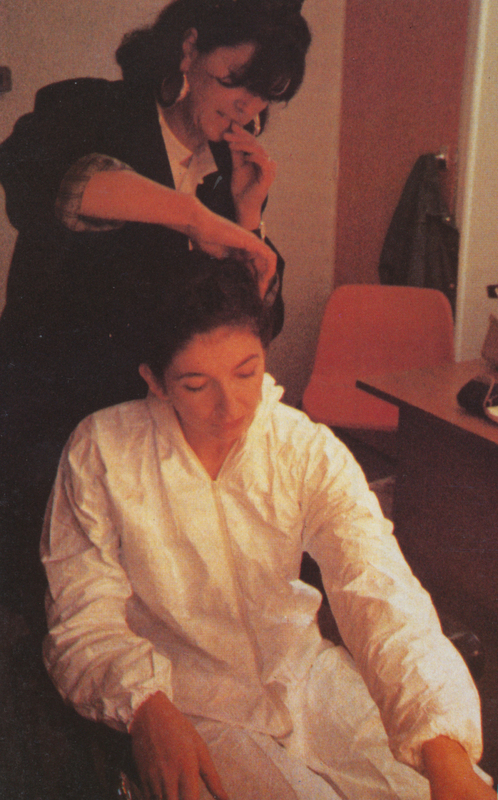 A leading makeup artist who has worked with Kate on many occasions, among them the videos for Cloudbusting and Experiment IV as well as the film The Line, The Cross And The Curve. She began her career at the age of 18 at the BBC in London. Earnshaw has become a very high-profile makeup designer in Hollywood, showcasing her skills in such films as 'Hamlet', 'Cinderella', 'Sliding Doors, 'Feast of July' and 'Titanic'. Her Oscar-winning accomplishments in the latter have catapulted Earnshaw to a level of celebrity, such that she now appears in commercials for Revlon cosmetics. In the course of working on James Cameron's epic film, Earnshaw not only researched the makeup styles of the period, but worked with physicians to study the effects of hypothermia on the human body for the post-disaster sequences. Together with Jan Archibald, Earnshaw teaches make-up and hair design at the Edinburgh School of Media Makeup in Los Angeles. Meanwhile, she also designed her own make-up line, consisting of brushes, lipsticks, lipgloss and eyeshadow. Earnshaw, Tina. Gaffaweb Dictionary, retrieved 8 August 2017. Tina Earnshaw. Wikipedia (German), retrieved 8 August 2017.